William is from San Francisco, California, and earned his BS in Psychology with a minor in Judaic Studies at the University of Oregon. After college, Will received a Masters in Jewish Education from the Pardes Educators Program at the Pardes Institute for Jewish Studies. During his time at YCT, Will interned at the Hebrew Institute of Riverdale-The Bayit, Kinneret Day School, Beth David Synagogue in West Hartford, Connecticut, Camp Nesher, and Atria Senior Living, among others. 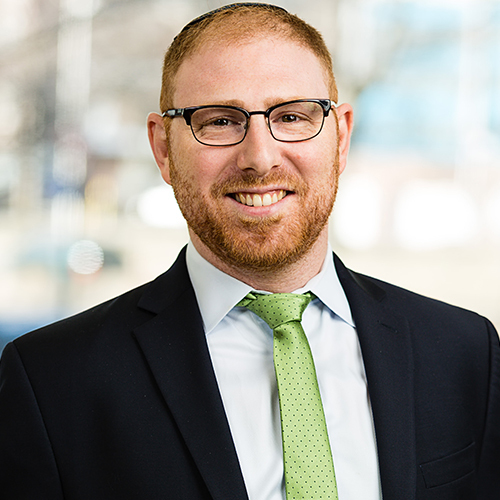 Will is Director of Jewish Life at Jack M. Barrack Hebrew Academy in Philadelphia and Program Director at Camp Nesher in Lakewood, Pennsylvania.